The No. 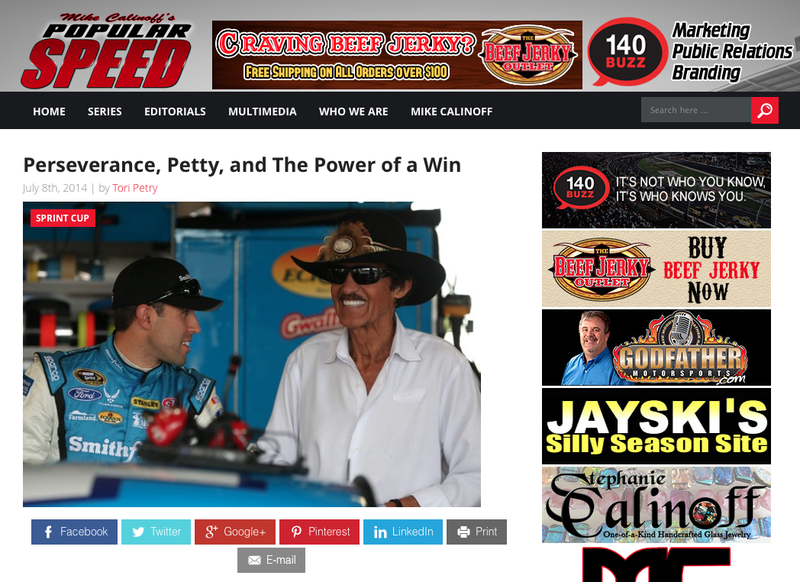 43 car’s journey back to Victory Lane has been anything but easy for Richard Petty Motorsports, but on a historic weekend in Daytona the iconic car was a winner once again. @aric_almirola drove the famed car number to its first win in 15 years in Sunday’s unusual crash-marred, rain-shortened Coke Zero 400. The victory came on the 30th anniversary of team owner Richard Petty’s 200th career win in the same race, and was the first for the car since John Andretti’s Martinsville win in 1999. In the team’s lifetime between then and now, the path was often tumultuous. Tori covered the Coke Zero 400 weekend at Daytona International Speedway as a guest writer for racing website Popular Speed.